Christine Connor learned to dance to the beat of a different drum yesterday. 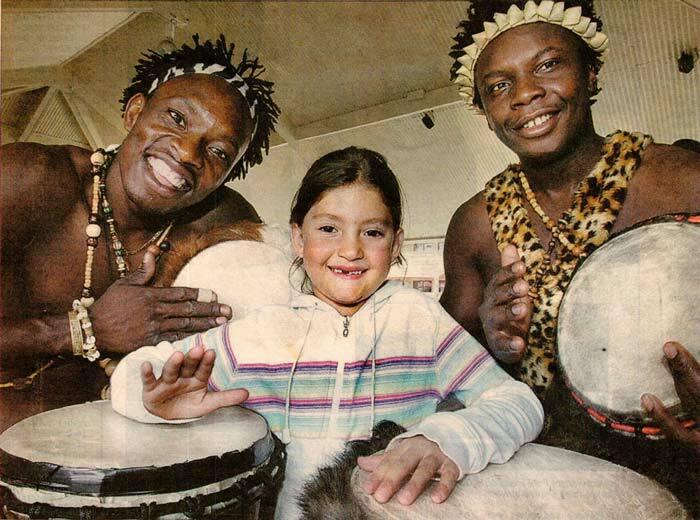 The seven-year-old got an authentic taste of Africa, thanks to a performance by Jambo Africa. The school holiday activity had 50 youngsters, aged live to 13, dancing, singing and playing the drums. 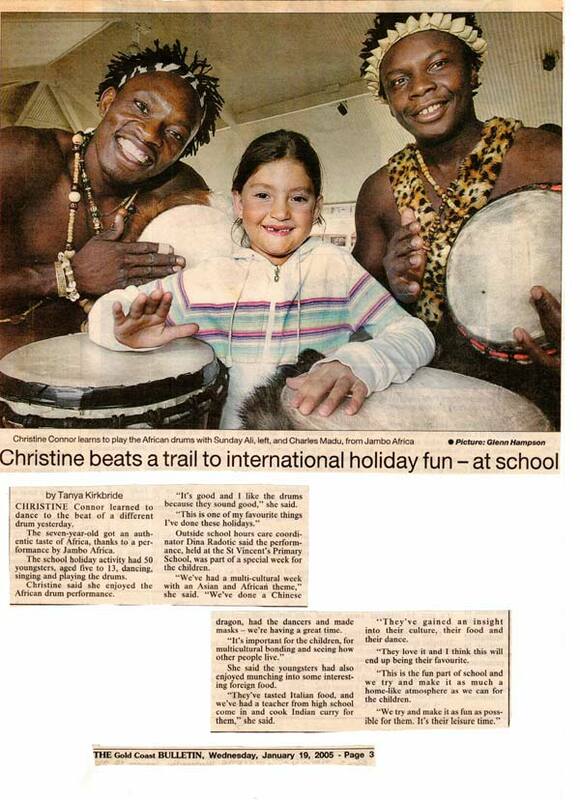 Christine said she enjoyed the African drum performance. “It‘s good and I like the drums because they sound good,” she said. Outside school hours care coordinator Dina Radotic said the performance, held at the St Vincent’s Primary School, was part of a special week for the children. “We’ve had a multi-cultural week with an Asian and African theme,” she said. “We’ve done a Chinese dragon, had the dancers and made masks — we’re having a great time. She said the youngsters had also enjoyed munching into some interesting foreign food. “They’ve tasted Italian food, and we’ve had a teacher from high school come in and cook Indian curry for them,” she said.